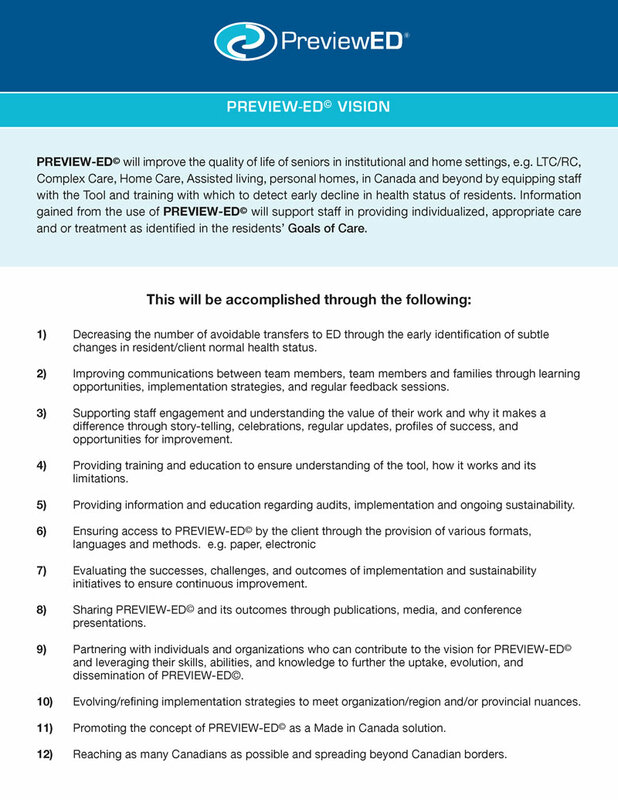 PREVIEW-ED© is an observation tool that assists direct care staff in the identification of early health decline in Long-Term Care (LTC) residents. Completed daily by Personal Support Workers this one page tool guides care providers through signs and symptoms of 9 indicators that may identify early health decline. PREVIEW-ED focuses on four conditions, Urinary Tract Infections, Pneumonia, Congestive Heart Failure and Dehydration. These conditions account for approximately 50% of the reasons for transfer of LTC residents to the Emergency Department (ED). 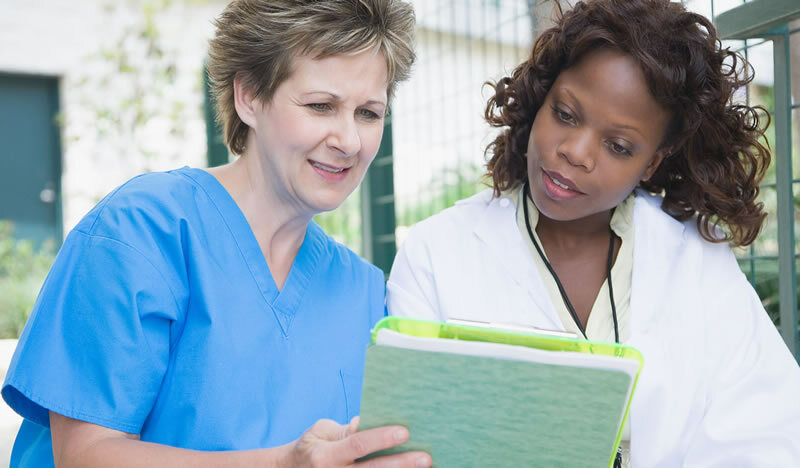 Using a weighted aggregate scoring system, PREVIEW-ED quantifies the level of severity of the potential change in health status and provides action steps according to the score. Registered staff are then guided to assess the resident and take appropriate action which may include notification of a Nurse Practitioner or Physician. The paper based version of PREVIEW-ED takes Personal Support Workers 8-15 seconds to complete and is easily embedded in their daily resident care routines. The electronic version is expected to continue this trend of rapid completion.